Today, we expect to see isolated small smoke columns well within the existing contained fire perimeter in pockets of unburned fuels (trees). Southwest light winds are predicted. Last night near Torpedo Lake, a very small (50ft x 50ft) section of unburned fuel (trees) burned within the existing fire perimeter. This was extinguished using air support. 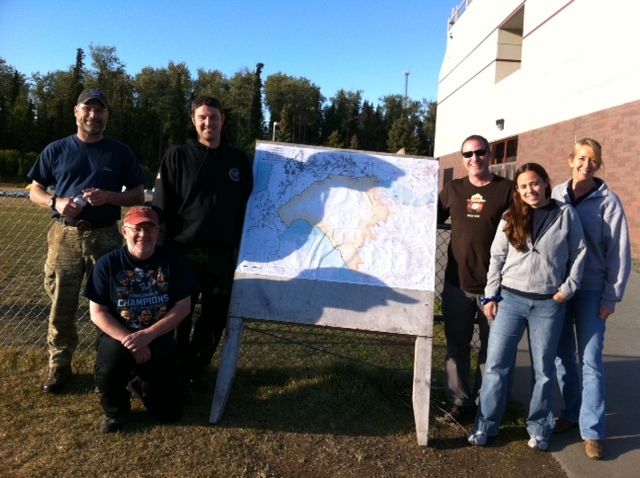 Staffing continues to downsize as fire crews are released to other assignments in Alaska and the Lower 48. The Incident Command Post is a hub of activity as fire crews are returning in from the spike camps for the demobilization process and ground and supply resources are packaged up to be warehoused until the next assignment. Here is a picture of the technical specialists in our Planning Section. This section works long hours often on night shifts. 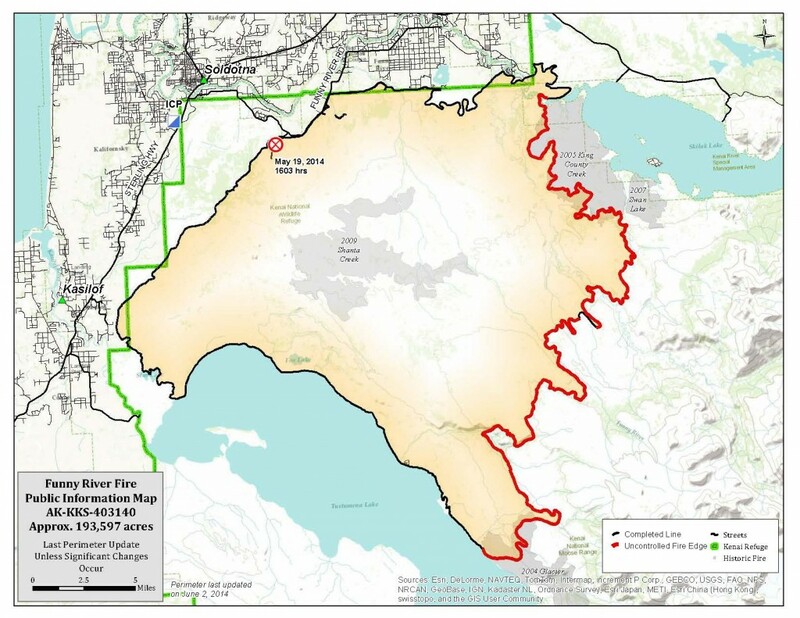 We owe our continued success on the fire to the weather and fire behavior forecasters and the GIS team making the maps to assist the firefighters and the public. This entry was posted on June 4, 2014 at 2:51 pm. You can follow any responses to this entry through the RSS 2.0 feed. You can skip to the end and leave a response. Pinging is currently not allowed.